Generate long-tail keyword variants alongside global monthly search data from your choice of data sources. 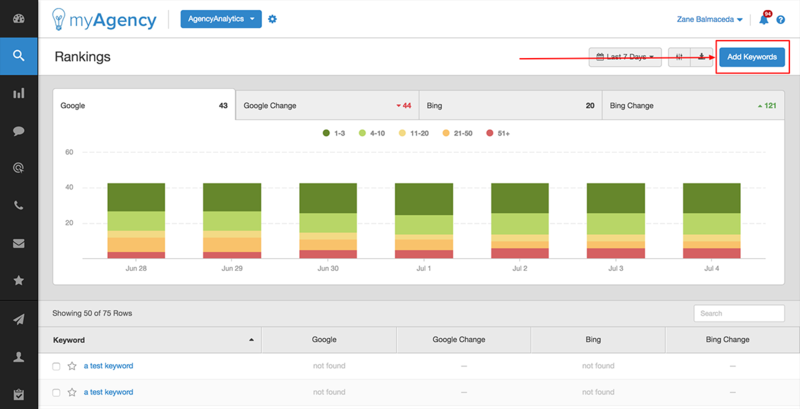 First, navigate to your SEO --> Rankings dashboard module within the campaign for which you'd like to get keyword suggestions. Click the "Add Keywords" button in the upper right hand corner of your screen. The "Add Keywords" wizard will then open. 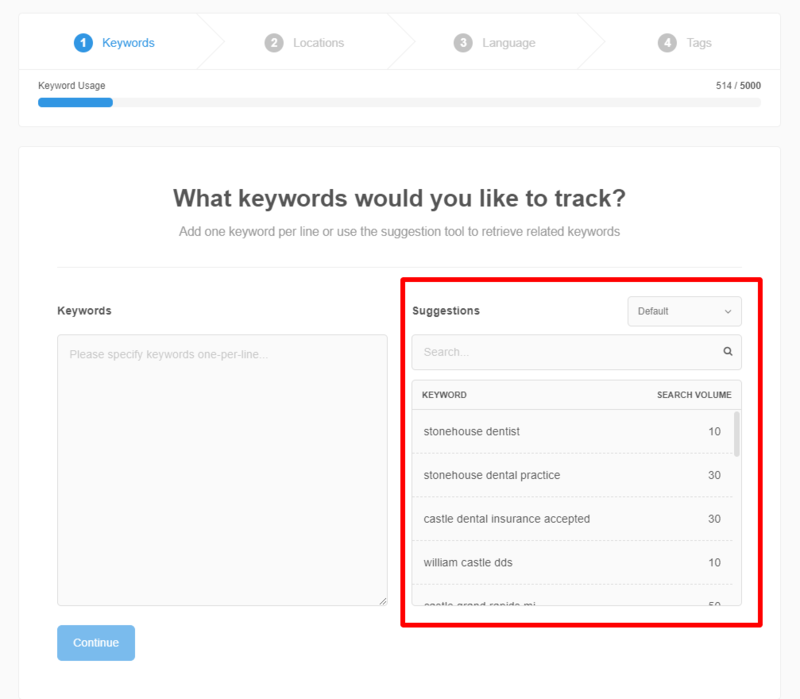 You'll find the keyword suggestions tool in step 1 of the wizard. Select your keyword suggestion source from the drop down. Sends your campaign URL to SEM Rush and fetches suggestions based on the text found on the site. Uses whatever text you type into the suggestions box to fetch suggestions from SEM Rush. 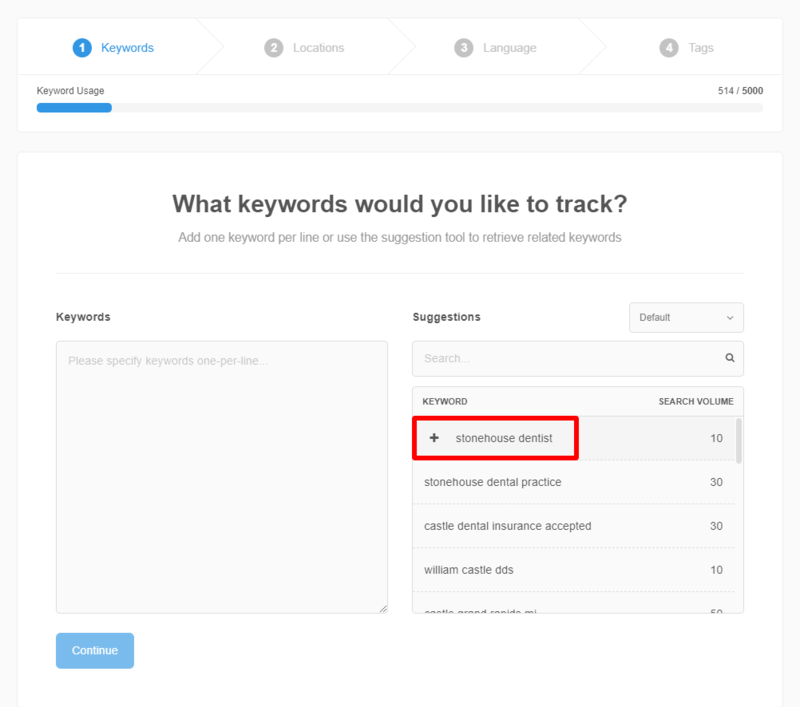 Fetches the "Top Keywords" from the Google Search Console integration that's been connected to this dashboard campaign. Fetches keywords from the "Google Ads - Keywords" section of the Google Ads integration that's been connected to this dashboard campaign. Fetches keywords from the Google Analytics --> Channels --> Paid Search section of the Google Analytics integration that's been connected to this dashboard campaign. Regardless of the source, a list of semantically related keywords will then appear in the keyword list below. 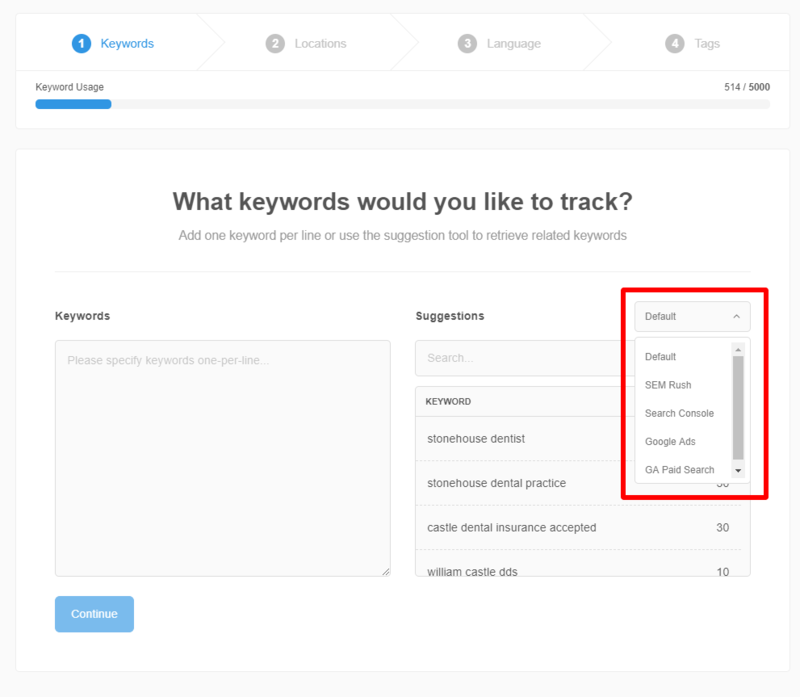 The number of unique monthly searches for each keyword will also be displayed to assist you in your keyword research. Click the Plus (+) button to add any keyword from the suggestions box to the keyword list on the left. From there, proceed through the "Add Keywords" wizard as normal to add the selected keywords to your rank tracking integration and fetch their SERPs. Your chosen keywords will then be added to the dashboard for SERP tracking. You will see a "clock" icon in place of the SERP position while the system fetches the current rank. Depending on the number of keywords that you've chosen to add, along with the current server load, this can take anywhere from a few seconds to a couple of hours. Are search volumes global or local?